The Department of Transport and the ACPO guidelines state that policemen on the roadside must wear fluorescent jackets and be clearly visible, as must their patrol cars - this link explains what you should do if you spot a Traffic Officer hiding behind a bush, and this link explains how some radar measurements may be inaccurate. Since the 27th of January 1998 it's been legal to own and use a radar/laser detector in the United Kingdom. It's worth keeping a copy of this information in your car. In summary, passive radar detectors that simply warn you that they're receiving a radar signal are not illegal, but the use of equipment that then transmits a "jamming signal" back to the radar device is illegal - this link will take you to a related story on the BBC News website. The Speed Trap Bible has rated the best and worst Radar Detectors. A judgement of the Queens Bench Divisional Court, dated 29th January 1998, makes it clear that the use of Radar Detectors is not unlawful as has hitherto been claimed by some. In the past prosecutions have been brought by claiming that the use of radar detectors was contrary to section 5(b) (i) of the Wireless Telegraphy Act 1949 as amended by section 3 of the Post Office Act 1969. However, the Acts refer to the interception of wireless communications for the purpose of obtaining information as to the content, sender or addressee of any message. The Court concluded that the radar transmission wasn't communicating a 'message' and therefore equipment designed to detect the presence of the transmission couldn't decode any such message. 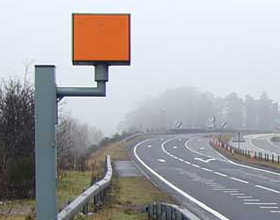 It was further stated that section 1(1) of the Act, which requires a licence for the reception of radio signals, has been superseded by the Wireless Telegraphy Apparatus (Receivers) (Exemption) Regulations (SI 1989 No 123) which exempts radar detectors and similar equipment from the need for such licences. Detector users in Scotland should note that currently this judgement has not been tested under Scottish Law, although the likelihood is that a positive outcome would be the result of any test case. Microwave radio emissions from police radar speed guns did not constitute a "message" for the purposes of section 5(b)(i) of the Wireless Telegraphy Act 1949, even within the extended meaning of "message" given by section 19(6). Accordingly, the use by a motorist of an electrical field meter to detect the presence of such emissions was not an offence under section 5(b)(i) since the device was not used "to obtain information as to the contents, sender or addressee of any message". The Queen's Bench Divisional Court so held, granting David Adrian Foot's amended application for judicial review to quash the dismissal by Knightsbridge Crown Court on January 8, 1997, of his appeal against conviction by Marylebone Justices on July 23, 1996 of an offence contrary to section 5(b)(i). Section 5 of the 1949 Act, as amended by section 3 of the Post Office Act 1969, provides: "Any person who - . . . (b) otherwise than under authority of the [Minister of Posts and Telecommunications] or in the course of his duty as a servant of the Crown, . . . (i) uses any wireless telegraphy apparatus with intent to obtain information as the contents, sender or addressee of any message . . . shall be guilty of an offence. . ."
Section 19 provides: "(6) Any reference in this Act to the sending or the conveying of messages includes a reference to the making of any signal or the sending or conveying of any warning or information, and any reference to the reception of messages shall be construed accordingly." Mr Anthony Calloway for the applicant; Mr John McGuinness for the prosecution. LORD JUSTICE SIMON BROWN said that the applicant was using an electrical field meter to detect radio transmissions from radar speed guns. The device was not able to decode the transmissions. Mr Calloway submitted that the police radar gun did not send or receive messages, even within the extended meaning of that term given in section 19(6). In *Invicta Plastics Ltd v Clare* ( RTR 251), the Divisional Court had held that those advertising such devices as the applicant's were guilty of incitement to motorists to contravene section 1(1), which required a licence for the use of such devices. However, those devices were now exempted from the need for such a licence by the Wireless Telegraphy Apparatus (Receivers) (Exemption) Regulations (SI 1989 No 123). Mr McGuinness submitted that a radar beam emitted towards a vehicle was equivalent to making a signal within the meaning of section 19(6). His Lordship disagreed. No doubt it was a signal or sign which conveyed something of meaning to another person, but Mr McGuinness did not say that it amounted to sending or conveying a "warning or information" within that subsection. His Lordship also rejected the submission that the operator was the addressee of a message, that is of information, sent back by the passing motor vehicle. A police officer beaming emissions to and receiving information from an inanimate moving object was not exchanging messages with the motorcar. There could be no reception of a message save between two human operators. Tempting though it was to outlaw the anti-social use of such devices, now that they were no longer banned under section 1(1) of the Act, to do so would be to stretch the language of section 5(b)(i) to breaking point. If, as was probable, the 1989 Regulations had been brought into force without recognising the present lacuna, the matter had to be put right by a further such instrument. Mr Justice Mance delivered a concurring judgment. Solicitors: Moss Beachley & Mullem; Crown Prosecution Service, Victoria.